• Discuss overall tax strategy with tax advisor and Intermediary (QI) and review qualifying use of relinquished property and replacement property. QI cannot give tax advice. • Intermediary receives copy of sales agreement and Schedule A of title commitment for relinquished property. • Intermediary prepares exchange package and forwards documents to the closing officer of a title company or attorney for excecution simultaneously with the real estate transaction documents. Closer will be instructed to add the intermediary’s signature line to settlement sheet and will be provided wiring instructions for the exchange funds. • The following documents will be signed at closing. 180 day clock starts. • Net cash funds will be sent directly to Intermediary’s escrow account. Old debt paid off to be replaced by new debt on replacement property. Any cash taken from transaction is taxable as “boot”. Any debt not replaced is taxable. • Intermediary notifies exchanger of identification requirements and dates for 45th day and 180th day. Holidays and weekends included. • Identification of replacement property must be provided to intermediary (or suitable party to the exchange) prior to 45th day deadline. If improvements are to be part of the exchange, they must also be identified. All signatures required; submit via fax, email or registered mail. No exceptions. If part of the replacement is construction, improvements must be identified as well. See construction check list for more information. • If identification is not made or is rescinded prior to end of 45 day period, exchange is terminated and funds are returned to exchanger after 45th day. If property is identified but not purchased, exchange cannot be terminated until day 180 and funds will be returned after day 180. 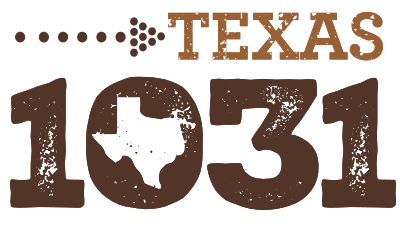 Critical: If improvements are to be a part of this exchange, please contact Texas 1031 Exchange before closing. • Intermediary receives copy of sales agreement and Schedule A of title commitment for replacement property. Cooperation clause may be included (Print Addendum) Contract MUST represent property previously identified if not closed in first 45 days. If this property will be part of a construction exchange, this property will be deeded to an LLC. Improvements must have been identified by the 45th day (see construction check list for more information). • Intermediary prepares exchange package and forwards to closer. • At closing, exchanger will authorize funds to be transferred to closing authority. • Exchanger should receive original exchange documents with copy sent to intermediary. • If no other properties are identified or eligible, exchange is complete and excess funds will be sent to exchanger. If other eligible identified properties remain, funds must be held for next purchase or until 180 day period ends. The above is for informational purposes only and does not constitute tax, legal or accounting advice. Your are advised to seek advised to seek appropriate professional advice regarding your facts and circumstances. This is a simplified example and should not be considered complete.